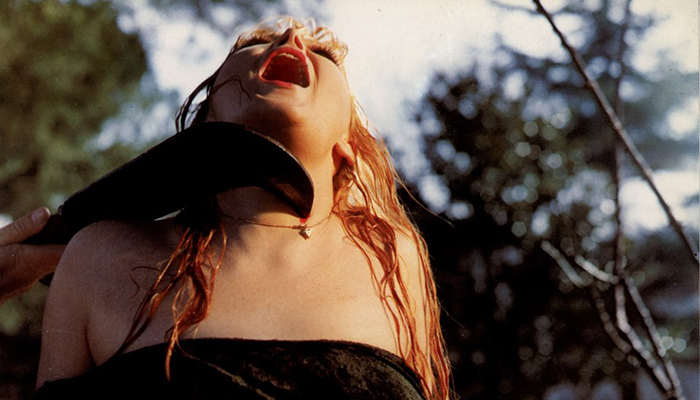 Horror movies are notorious for being calendar cash-ins. There are movies centred around Mother’s Day, Valentine’s Day, Halloween, New Year’s Eve Spring Break, and of course, Christmas. Things have gotten so out of hand, there’s even a Bloody Wednesday. Since their advent (see what we did there?) 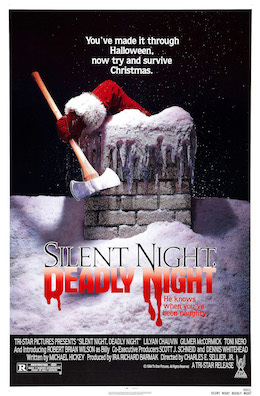 there’s seemingly a new Kris Kringle killer film every year. For the most part, they’re exquisitely awful. Luckily for us though, there are exceptions. There is the morose, downbeat psycho-slasher Christmas Evil, cited by John Waters as “the greatest Christmas movie ever made,” (take that, It’s a Wonderful Life). The French new waver, À l’intérieur (Inside) is undeniably excellent, and there’s no denying Black Christmas was influential laying down the North American template for stalk ‘n’ slash POV, even if Mario Bava beat it to the punch. 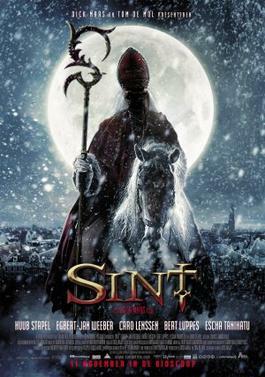 The 2010 Dutch import Saint (Sint) gives us a not-so-jolly St Nick light years removed from cringy fire-engine felt mall Santas, and Night Train Murders is a stylish Video Nasty from the 70s, set in Munich on Christmas Eve. When it comes to snowy desolate isolating winters, nothing beats Kubrick’s The Shining for capturing the chilly milieu. And for our money, far and away the best snow death is featured in the Canadian classic, Curtains (For our take on that epic tax shelter flick, check out our Curtains discussion on the Really Awful Movies Podcast). And speaking of Christmas, if you’ve got a horror movie fan in your life (and really, if you don’t, you probably should)…check out our book, Death by Umbrella! 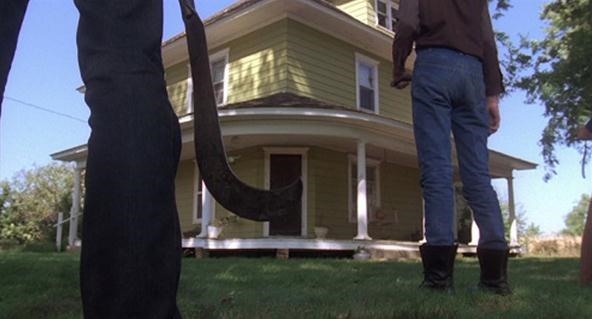 The 100 Weirdest Horror Movie Weapons. The very best (and even some of the worst) films have heart and appreciation. We did our best to reflect that in our selections.